Castile soap is the gold standard for natural, green cleaning. Castile soap is both biodegradable and effective. And it cleans everything! I use it to wash my wool sweaters, scrub out my oven, and soften my hands. I even use it to wash my dog! 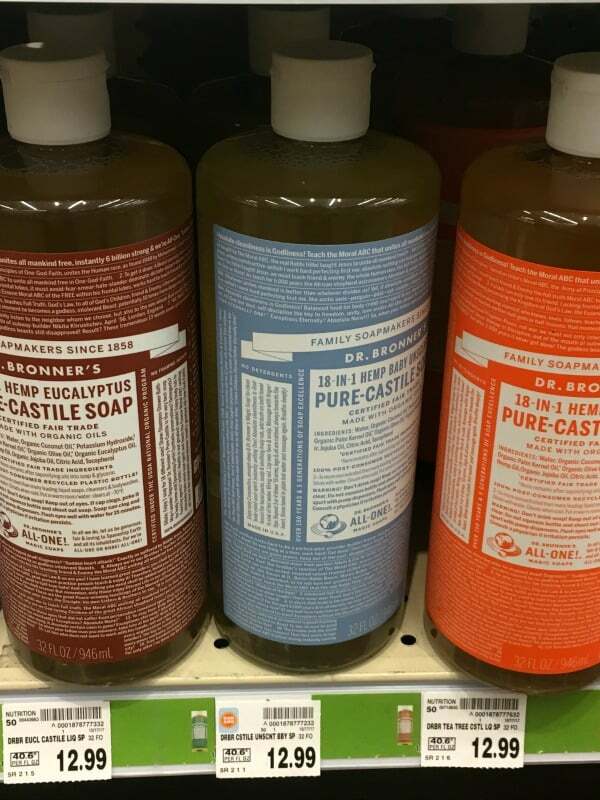 It wasn’t long ago when Castile soap was only carried at natural grocery stores. 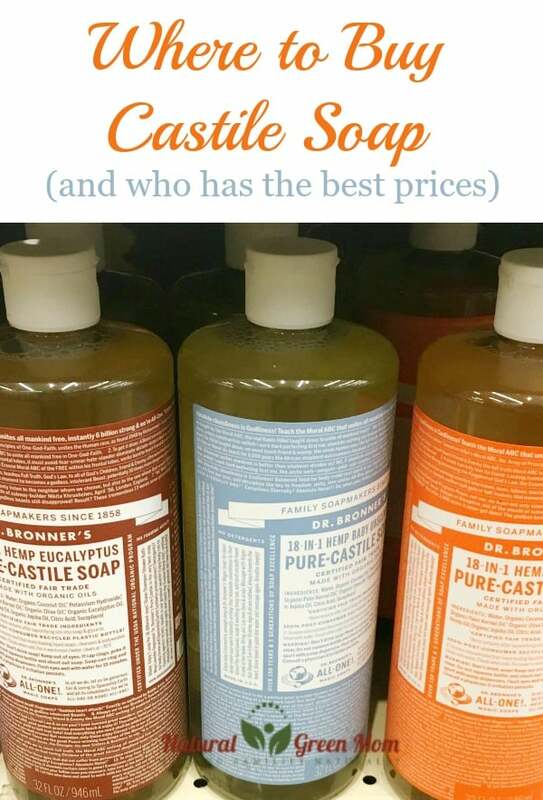 As you can see from my price comparison below, Castile soap has become mainstream. 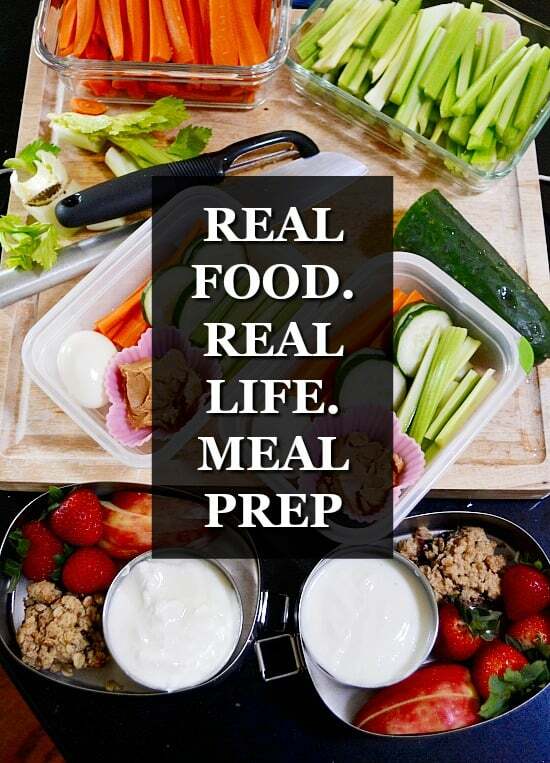 You can pretty much pop into any big box or grocery store and find it. 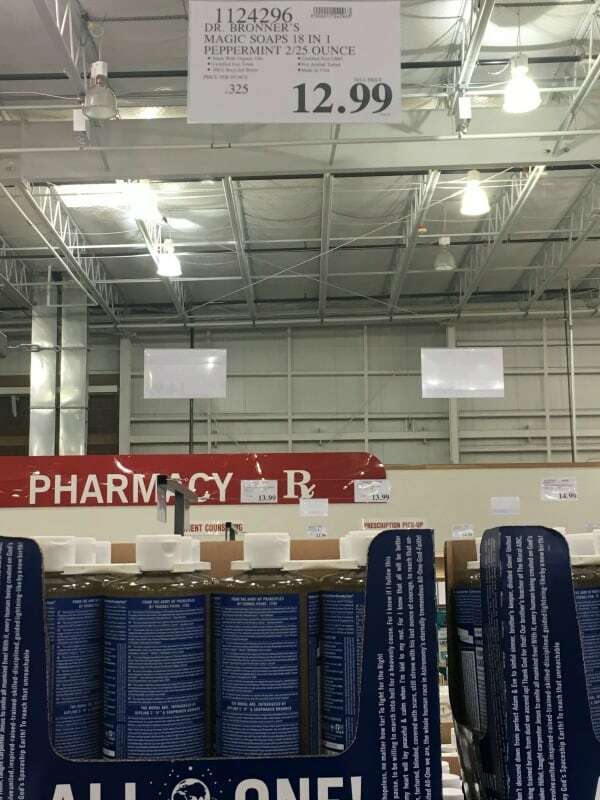 Costco has the best price but only one selection. Kroger/King Soopers surprised me with the price on their store brand. I bought some to compare quality and was pleased with my results. Check out the pricing I found, then grab your bottle and get cleaning! Target actually ends up being pretty pricey. I did not know my King Soopers carried Castile soap. And they had a large selection of scents too! In addition, they carry their own brand of Castile soap and check out the amazing price! 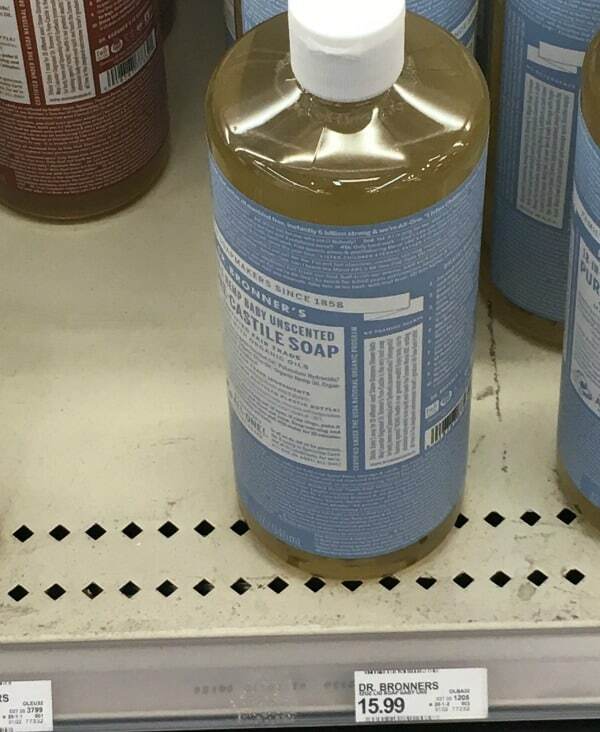 Simple Truth Pure Castile Soap $8.99/32 ounces!!!! 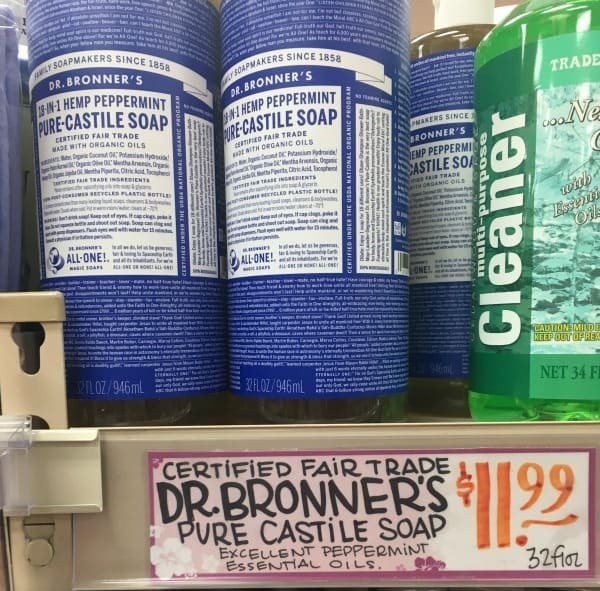 Only peppermint scented Castile soap is carried at Trader Joe’s, but it is offered at a pretty decent price. 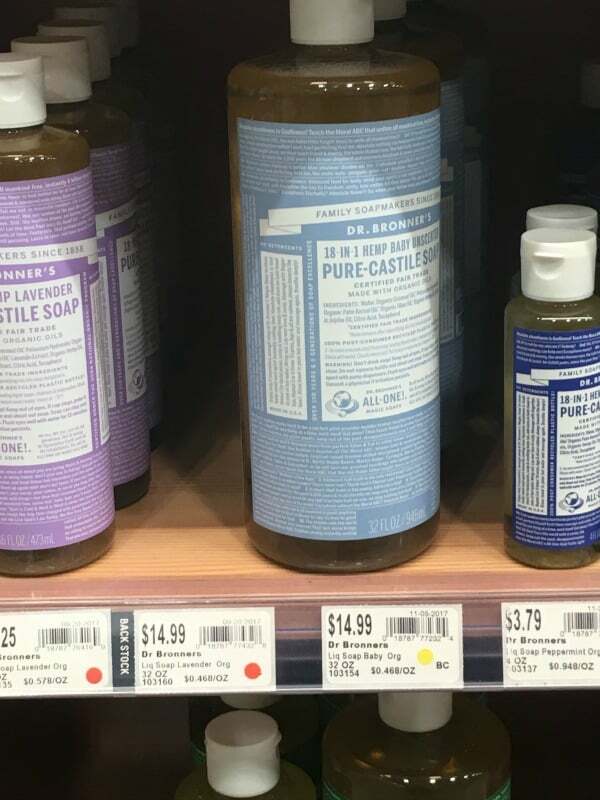 If you are looking for Dr. Bronner’s Castile soap, this was the absolute best price. However, they only carry it in peppermint. I thought the price at Natural Grocers would be more competitive. Not as high as Target, but still one of the pricier places to buy it. Finally, if you don’t have any of these stores where you are, you can always order it online.